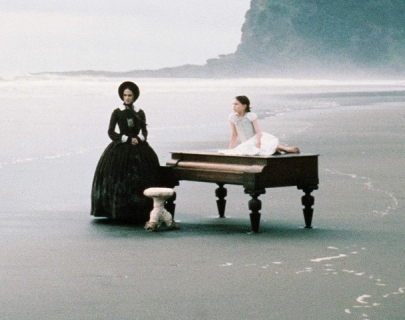 After a long voyage from Scotland, pianist Ada McGrath (Hunter) and her young daughter, Flora (Paquin), are left with all their belongings, including a piano, on a New Zealand beach. Ada, who has been mute since childhood, has been sold into marriage to a local man named Alisdair Stewart (Neill). Making little attempt to warm to Alisdair, Ada soon becomes intrigued by his Maori-friendly acquaintance, George Baines (Keitel), leading to tense, life-altering conflicts and a deeply passionate affair.